Festo, the German electrical automation company that previously brought us a robotic dragonfly, kangaroo and penguin, is back with a couple of new creations – a spider that can roll like a wheel, and a bat that flies by autopilot. Is this a Real Robot? Improvements in technology mean robots are becoming eerily life-like – to the extent that now, people cannot tell the two apart. 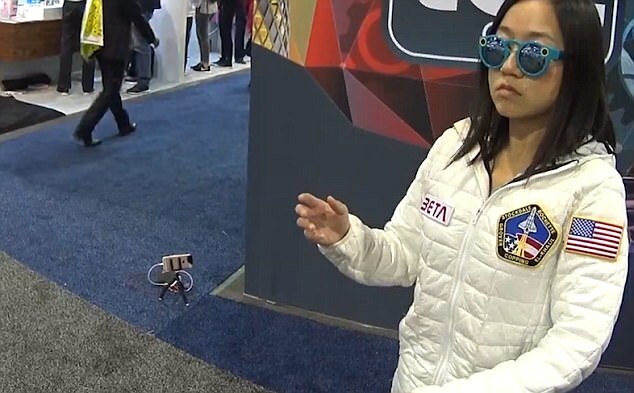 Karen X Cheng, a ‘viral video director’, went to the CES conference in Las Vegas earlier this month and pretended to be a robot. She was so convincing, or perhaps robots are so lifelike, that people believed her. After you heard President Obama’s call for a hike in the minimum wage, you probably wondered the same thing I did: Was Obama sent from the future by Skynet to prepare humanity for its ultimate dominion by robots? But just in case the question didn’t occur to you, let me explain. On Tuesday, the day before Obama called for an increase in the minimum wage, the restaurant chain Applebee’s announced that it will install iPad-like tablets at every table. Chili’s already made this move earlier this year.